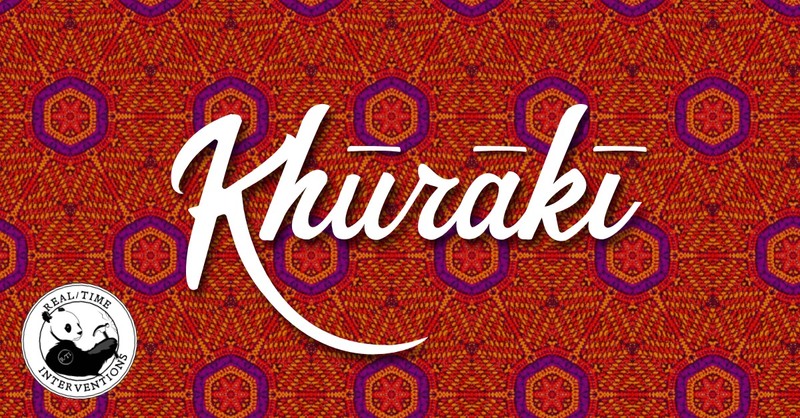 “Khūrākī” was created by Molly Rice in collaboration with a group of recently-resettled Afghan refugees in Pittsburgh. Commissioned by the Office of Public Art as part of their Artists in Residence program and supported by Pittsburgh’s refugee resettlement community and many other partners, Khūrākī (meaning “eat” or “meal” in the Afghan language Dari) will take place in four locations across Pittsburgh from late March to early May. The series will celebrate the beauty of Afghan culture, music, and food through "theatrical portraits" of five strong women who will forever be Afghan but have recently become Pittsburghers as well. What do they miss about their homeland? What have they been able to preserve in the flight from home--in their traditions, in their cooking, in their hearts? What do they hope to cultivate here in Pittsburgh? And what do they want you to know about the beautiful country where they were born? Program 1 (at the Millvale Moose and The Union Project) focuses on traditions centering around the Afghan New Year, while Program 2 (The Islamic Center of Pittsburgh and City of Asylum's Alphabet City) discusses traditions surrounding life-changing events (births, deaths, weddings). All events feature food prepared by refugee women from Afghanistan recently settled in Pittsburgh. For the events, professional actors chosen by the women themselves will represent each woman, telling their stories while the women gain experience cooking Afghan dishes together for the audience, in service to their central goal: to open the first Afghan food business in Pittsburgh. The cast includes Tressa Glover, Alex Manalo, Krystal Rivera, Kelly Trumbull, and Ashley Loren Williams. Each performance will feature Afghan food prepared by the women, Afghan-inspired music (arranged and performed by graduate music students from Carnegie Mellon University) and moments of immersive cultural experience. Audiences are limited to 50 per night. Tickets are free but a $20 donation is suggested. Seventy-five percent of the proceeds will go to the women of the Pittsburgh Afghan community to support their efforts to develop a food-based business. In addition to the Office of Public Art, partners for this project include: Becky Johnson, Refugee Resettlement consultant; NAMS Community Assistance and Refugee Resettlement Department (closed Dec. 2018); the City of Pittsburgh’s Welcoming Pittsburgh initiative and the Department of City Planning; La Dorita Kitchen Share; the Graduate music students of CMU’s Audience Engagement class, taught by Director of Music Enterpreneurship Monique Mead and Jennie Dorris; New Sun Rising; The Union Project; The Islamic Center of Pittsburgh; City of Asylum; Jen Saffron, owner/ operator of Sprezzatura Catering; Pixelab Studios; Point Park University Theater and Cinema Departments; Allegheny County Department of Human Services; Shehady’s Carpets and Rugs; and the Afghan community of Pittsburgh. For more information, please visit www.realtimeinterventions.org. *The Office of Public Art Residencies are supported by the National Endowment for the Arts, a federal agency; the City of Pittsburgh, The Pittsburgh Foundation, Fine Foundation, and Buhl Foundation.